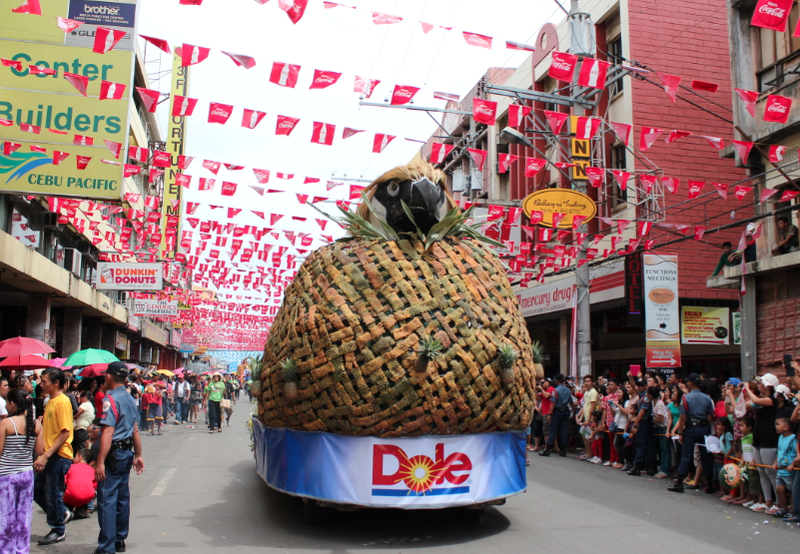 Showstopping DOLE float at the Kadayawan Festival. - Hello! Welcome to my blog! Showstopping DOLE float at the Kadayawan Festival. Is it a bird? Is it a Pineapple? Is it a Pineapp-a-bird?? Its DOLE! Yes, Dole certainly painted the whole of Davao's streets with chunks and bits of DOLE's Kadayawan float. The float is a statement and a showcase of true Filipino creativity, resourcefulness, and hospitality. Kadayawan Festival which is probably one of the liveliest and most anticipated of all the fiestas, it definitely is not your ordinary fiesta as the floats here are one of the most anticipated event during the festival. These floral floats are showcased during the Kadayawan parade as a means of thanksgiving and celebration. Students from schools also get to compete in the annual “Indak-Indak sa Kadalanan,” a street-dancing competition where participants are decked with the most vibrant and beautiful costumes. This annual week-long party also serves as an avenue to celebrate the many talents of the locals. So, what's new this year? Dole joined in on the Kadayawan merriment as one of the sponsors. 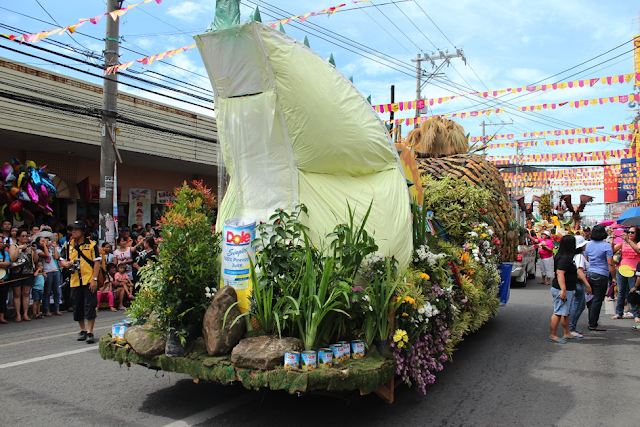 Their show-stopping float was adorned with different flowers and trinkets local to Davao. Dole also contributed to the revelry when it awarded products and cash to the winners of Indak-Indak sa Kadalanan. Hudyakaan was no exception as Dole sponsored some game and fun activities for the festivals many holidaymakers. In line with their “This Is My Dole” campaign, Dole Philippines proved that there really is a Dole for every Filipino by giving out samples of their different product offerings as a cool-down drink and snack. Davao’s Kadayawan Festival is certainly one of the best things about the Philippines, what makes it better though is when all of the revelry and enjoyment are complemented with Dole Philippine’s refreshing snacks and drinks. Visit Dole PH on Facebook and follow @ThisIsMyDole on Twitter and Instagram for more info on Dole Philippines.